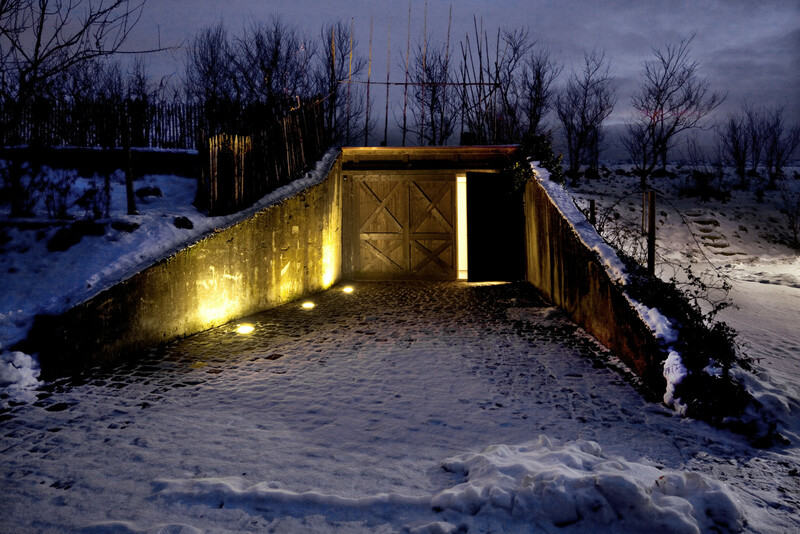 The client Stählemühle commissioned the conversion of an old mill estate into a high quality distillery for award winning liquors. 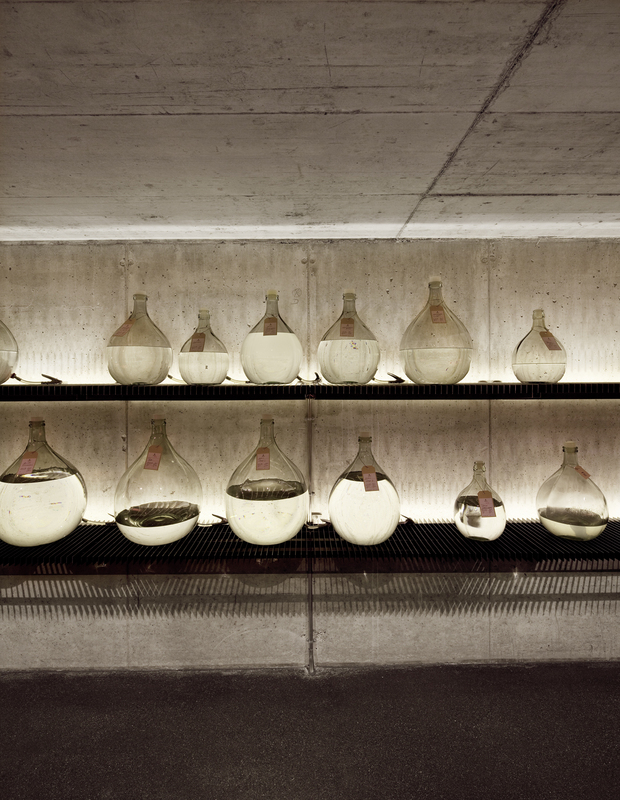 Making up a total of 143 sqm, the conversion comprised the distillery, the degustation and tasting space on the estate. 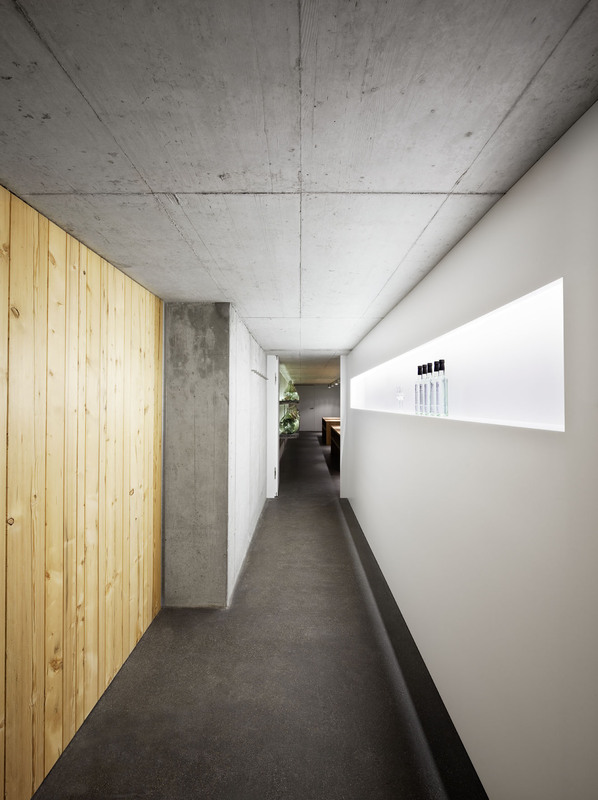 The design puts specified traditional materials in a modern context while the main focus is on the creation of a presentation and sales area for the distillery’s products. 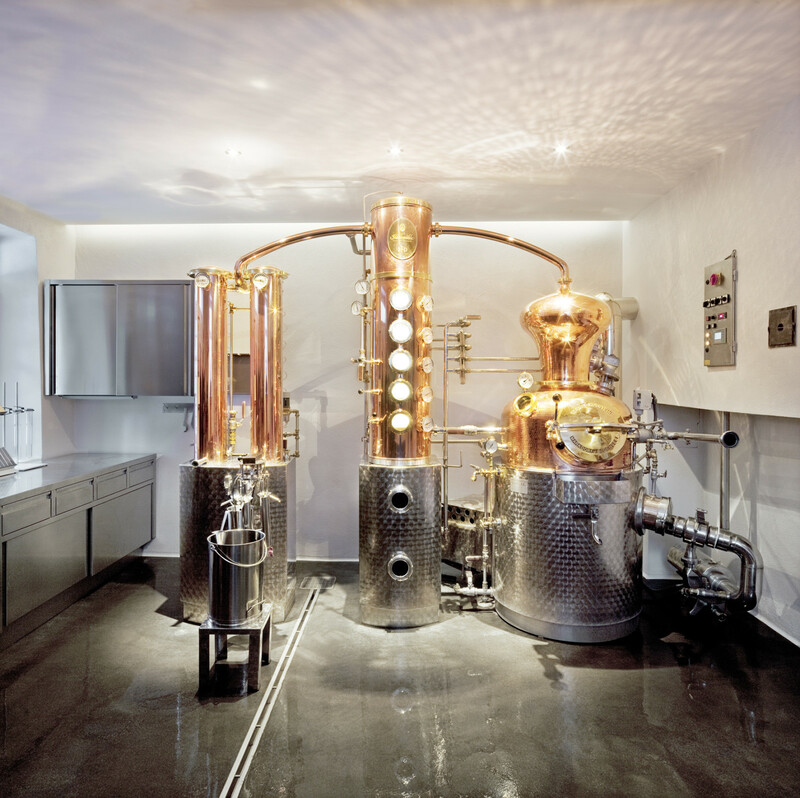 Exposed concrete walls and raw asphalt flooring were specified to contrast the polished finish of the distillery machine. 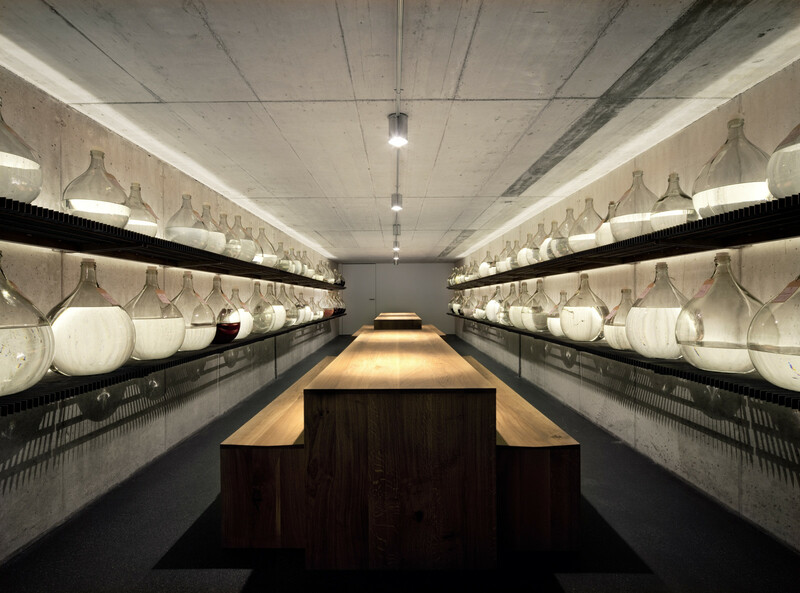 The glass containers of the liquors act as lenses, magnifying the texture of the exposed concrete walls. 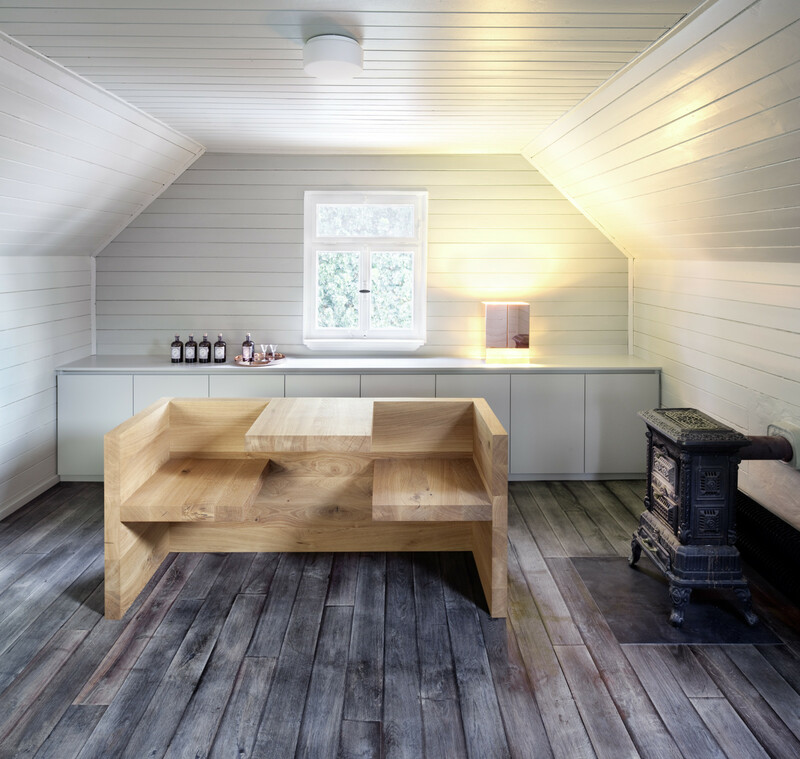 All specified furniture was supplied by e15, with key items being custom-made for this project.